These cookies were a special request for an anniversary gift! The little monkey faces are my favorite (mostly because I love bows). I hope you enjoyed them Katie! 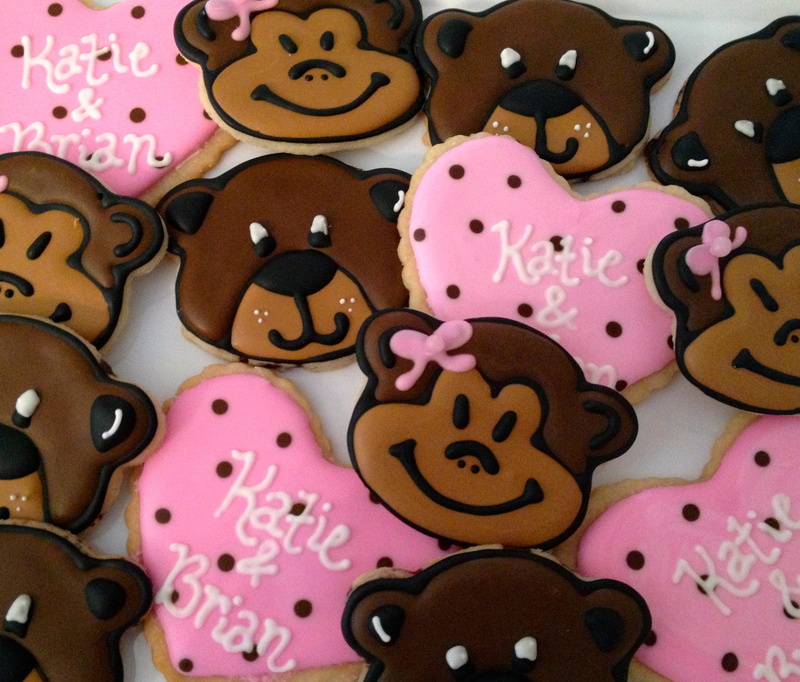 Monkeys and bears and hearts, oh my! Love these cookies, you are good! Love you🐵🐻💗! !